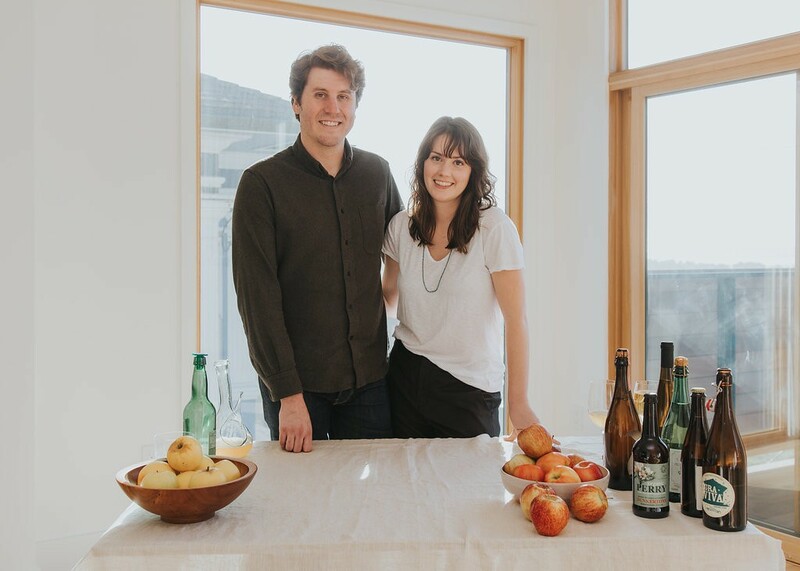 Mike Reis (left) and Olivia Maki hope to open their cider bar by the end of the year. Rockridge is getting a new cider bar with a focus on terroir and education. end of the year. At that point, it will likely be the second cider-focused bar in Oakland, with Crooked City Cider’s own cider house due this summer near Jack London Square. It’s an exciting development for cider fans, who have been hard-pressed for a breadth of quality options in the area. Redfield comes from husband-and-wife team and Berkeley residents Olivia Maki and Mike Reis. Maki’s résumé includes event programming at San Francisco’s 18 Reasons, Bi-Rite’s educational nonprofit. Reis, meanwhile, is an advanced cicerone who served as co-director of the beverage programs at San Francisco’s Monk’s Kettle and Abbot’s Cellar. Under his guidance, Abbot’s Cellar’s bar program earned a semifinalist nod for a James Beard Award. For Reis, cider became an obsession after working at Abbot’s Cellar and looking to increase the restaurant’s range of cider offerings. The owners of Tilted Shed Ciderworks, a cidery in Sonoma County, wound up mentoring him, which led Reis to work for a specialty cider distributor. “One of my main goals was to bring better cider to retailers. … At a certain point, I realized, ‘Man, we really need more retailers,’” he said. “We feel like there’s a hole in the industry right now for someone to come in and focus on this beverage and focus on education,” said Maki, who plans to run tastings and classes out of the space. She hopes to bring in producers to talk to consumers as well as offer tasting flights. Redfield will stock 10 to 12 ciders on a 16-tap system — the remaining will go to beer, with some wine also available — as well as roughly 200 bottles that folks can enjoy onsite or take home. There will be a mix of domestic ciders — particularly those made in Northern California, the Pacific Northwest, and New England — and imports from countries with rich cider traditions such as France, England, and Spain. “The ciders we plan on really showcasing are ones that show a sense of place and a sense of the characteristics of the apple varieties that go into the ciders,” Reis said. “Orchard-based ciders” is the most common term describing these types of ciders. effervescent, gluten-free beverages, Redfield will offer a simple food menu as well.